What was it like at the Trump Kim Summit in Hanoi, Vietnam? 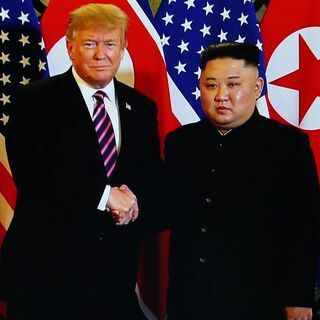 Donald Trump and North Korea leader Kim Jong-Un may have walked away with no deal, but we sit down with the Traveling Dukes who came out big winners, including getting a Kim Jong-Un and Donald Trump haircut! They also tell us what its like to live in China as a foreigner or laowai teaching English in China.